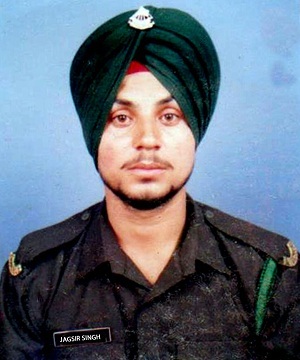 Sepoy Jagsir Singh hailed from Lohgarh Thakhran Wala village in Ferozepur district of Punjab. Son of Mr Amarjit Singh and Mrs Gurmeet Kaur, Sepoy Jagsir Singh had joined the Army in 2004. He was enrolled into 18 Punjab of the famed Punjab Regiment known for its valour and various battle honours. He got married to Mohinderpal Kaur in 2010, and the couple had two daughters Nagam, Gurneet, and son Jagdish. By 2017, Sepoy Jagsir Singh had put in 13 years of service and had experience of serving in various tough operational areas. 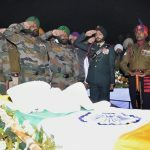 During 2017, his unit was deployed in Nowshera sector of J & K.
During Dec 2017, Sepoy Jagsir Singh’s unit 18 Punjab was deployed in the Nowshera sector near LOC and was manning the forward posts. 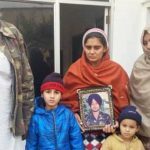 On 31 December Sepoy Jagsir Singh was deployed at the forward post in Rumli Dhara in Nowshera Sector. This sector near the LOC is very active and volatile as the enemy forces often resort to unprovoked firing from across the border. At around 3.50 AM on 31 Dec , the sniper shots were fired by Pakistani army’s Baloch regiment troops. The army retaliated in a befitting manner resulting in heavy exchange of fire. During this firing Sepoy Jagsir Singh got wounded seriously and was taken to the near by military hospital. However he succumbed to his injuries on the way and was martyred. 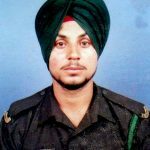 Sepoy Jagsir Singh was a disciplined and committed soldier who laid down his life in the line of duty. 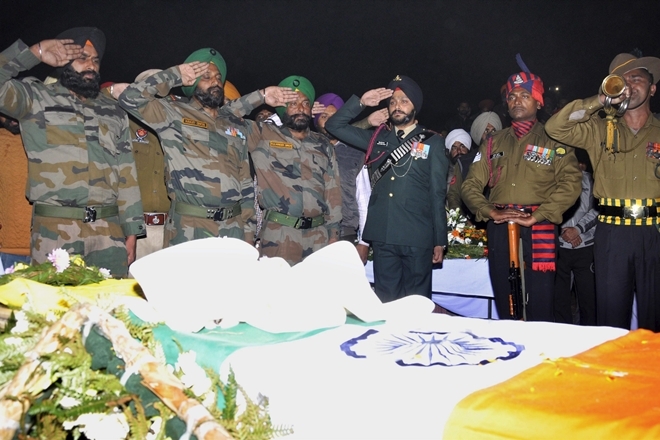 Sepoy Jagsir Singh is survived by his wife Mohinderpal Kaur, daughters Nagam & Gurneet and son Jagdish.